As marketers, we can learn and borrow elements from successful guerrilla marketing campaigns and apply them to our digital strategies. If you’re a marketing nerd like me, chances are you’re also fascinated by creative guerrilla marketing campaigns. These campaigns stand out and are more memorable compared to a lot of the similar types of advertisements we all see on a daily basis. 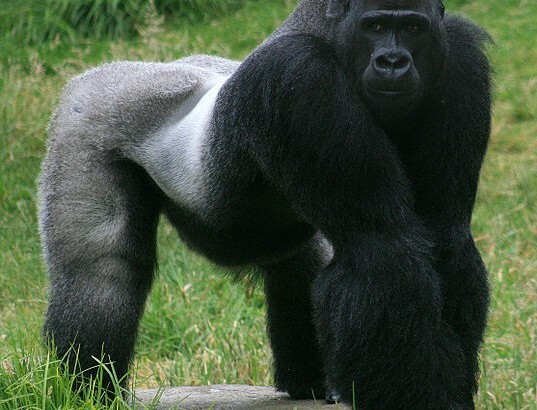 The term “guerrilla marketing” was coined by Jay Conrad Levinson in 1984 and is a type of marketing that takes the consumer by surprise and gets them to pay attention. Most guerrilla marketing campaigns are very expensive. However, you don’t need a multimillion-dollar advertising budget to learn valuable lessons from guerrilla marketing campaigns and apply them to your marketing strategy. 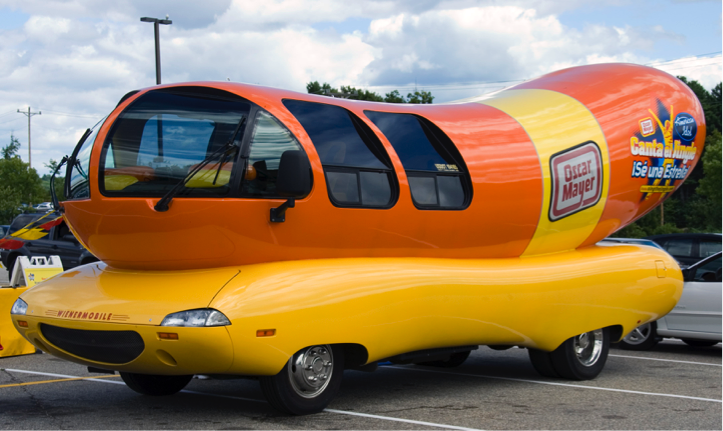 Below are five things all marketers can learn from guerrilla marketing campaigns. Guerrilla marketing campaigns are often popular in large cities or on billboards bordering highways in order to gain maximum visibility. 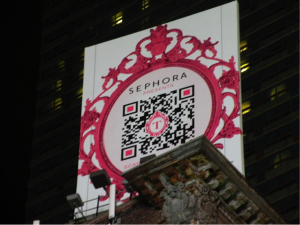 For example, New York City is a common location for these types of campaigns because of the high traffic on the streets. 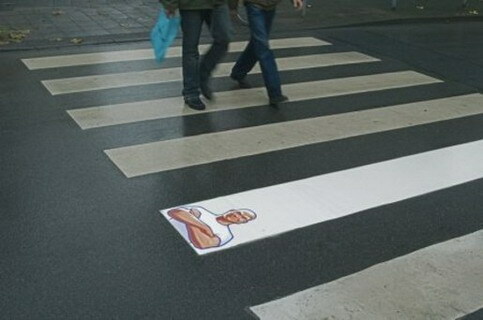 For example, a campaign such as the Mr. Clean one pictured below would not be as successful if it were placed on a crosswalk in a more rural area. For all other types of marketing campaigns, it’s important to understand your target market and identify the best ways to reach them on different platforms. Sometimes the best way to capture the attention of consumers is to get right in their way so they can’t ignore you. 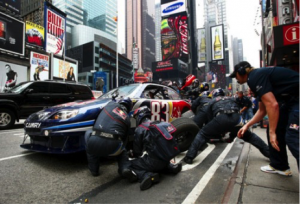 This is certainly the approach that Red Bull took when they set up a pit stop in the middle of Times Square. Who wouldn’t notice this while walking down the street? This was a successful campaign in creating attention and generating brand awareness. As marketers, we can borrow the idea of creative disruption to force us to think outside the box and create strategies that are different from the norm. In order for a guerrilla marketing campaign to be successful, it must be stimulating, interesting, and relate to the product or brand. 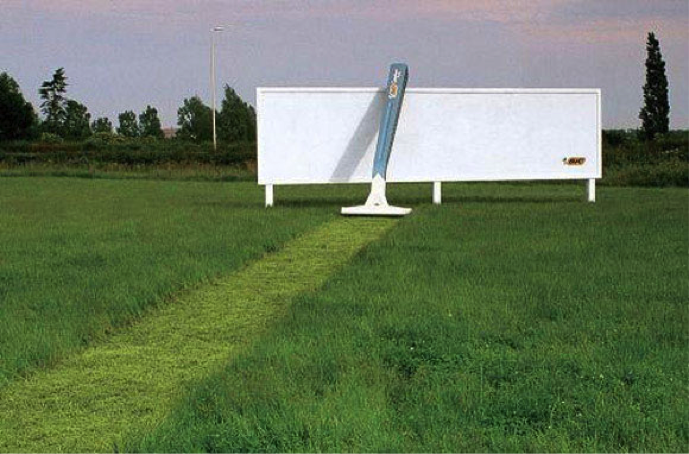 For example, the Bic billboard attracts attention and also clearly communicates how the product works. The one thing that all guerrilla marketing campaigns have in common is that they aim to stand out. 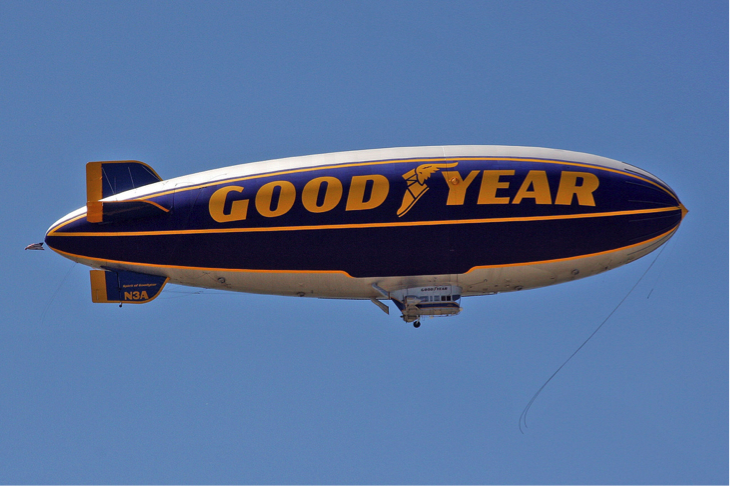 Aside from one-off campaigns, some brands have continuous guerrilla marketing aspects. For example, we all know the Oscar Mayer Wienermobile and the Goodyear Blimp. 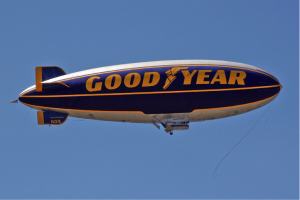 These are iconic ways to promote brands that everyone has come to recognize. In terms of digital marketing campaigns, marketers must be sure the overall message that is advertised resonates with the consumer and the copy and design are both aligned. For all other types marketing strategies and campaigns, marketers need to find a way to differentiate themselves from the competition. This can be done in a variety of ways, but the key is to focus on unique features and how they can be applied to your brand, products, or services. Traditional billboards have come a long way from the original roadside sign with a static image and simple caption. Today, billboard displays have the opportunity to be interactive. For example, some contain QR codes that people can scan on their smartphones to take them to a specific webpage. Other billboards include cameras to collect data on those who turn and look at the advertisement. Below is how Sephora incorporated a QR code into their billboard and was able to track conversions from it. In marketing, it’s vital to measure every activity you possibly can in order to determine what is successful and where you need to make any alterations to your campaign. I hope these examples were helpful in showing how we can incorporate guerrilla marketing elements into our other marketing strategies. If you have any questions (or even just want to geek out with fellow marketing lovers), contact my team. Grit, determination, tenacity and resolve. We throw these words around to encourage greatness and spark inspiration, but how many of us ever feel the true power of them? For that matter, how many of us understand the true power of them? I recently found myself thinking about determination. I wondered, are some people born with a competitive edge so sharp that they have no option but to succeed? Or maybe true grit or determination is the result of years of refusing to accept failure. Stories of sports and determination are always so cliché, but the relevance can’t be glossed over. For example, Jerry Rice is widely considered one of the best football players of all-time. When coaches and teammates talk about him, one trait is always mentioned: focus. He continuously put in the work, staying late after practice to get in a few more runs. His legendary workouts put others to shame and he never paused for the “off season.” There was no off season in Rice’s world. Of course, Jerry Rice had natural talent, but it was his dedication to growing that made him great. He focused on the skills needed by a wide receiver and perfected them through practice and an ability to adapt. Rice’s story led me to my first revelation People are often concerned with being the best at everything, but that simply isn’t possible. Part of being determined and crushing goals is picking a focus and dedicating time, energy and resources to learning everything about that focus. Jerry Rice never needed to know how to throw a perfect spiral, so he didn’t waste his time on practicing that skill. As a marketing professional, I don’t have to be an expert at every aspect of marketing. If I try to be, chances are I won’t truly be an expert of anything. I’ll just be kind of good at everything. This is why we work in teams. I can put all my energy into my strengths, knowing that my teammates will support me with their strengths. Determination requires a strong mind. You’ve heard the age-old phrase, “When the going gets tough, the tough get going.” This phrase is a nod to those who have mastered the power of their minds. These people have “grit,” or mental toughness. Let’s stick with the sports analogies to explore what is possible with a well-conditioned, dedicated mind. An Ironman Triathlon is a long-distance race consisting of a 2.4-mile swim, 112-mile bike ride and a 26.22-mile marathon run. Participants spend months, if not years training for these grueling events. In early 2016, Tristine Emery and her husband, Kevin Nicholson, set out to complete the Taupo Ironman together. The race went well until Emery rolled her foot 3 kilometers into the marathon. Rather than pull out of the competition, Emery made a conscious decision to keep going. Through extreme pain, the New Zealander was able to think rationally and come to the conclusion that if she removed her shoe, she wouldn’t be able to finish. Emery plans to complete more Ironman races in the future. In her words, “People who do Ironman are a bit crazy anyway.” Crazy? Maybe, but what Emery exhibited was not a mental disregard for her well-being. It was a mental fortitude that allowed her to block out the pain and walked 39 kilometers on a foot that was broken in two places. Psychologists agree that a high level of mental toughness is one of the key factors to achieving greatness as opposed to just barely finishing a goal or not finishing at all. Grit (mental toughness) is not genetic. Yes, some people are born with natural tendencies to strive for their goals, but the brain is a muscle that needs to be exercised. Visualization and meditation are two ways to increase the strength of your mind. These mental exercises are just as important as the hours spent in the gym or conducting market research. Both practices allow you to mentally prepare to push through barriers and work through problems in moments of extreme pain or intense stress. YouTube is a great resource for finding guided meditations and visualizations that will strengthen your mind and help you realize your goals. Make sure to choose a video that speaks to you. The music, voice and pace all need to be pleasing to you, or the exercise will feel like a chore. For me, the most exciting takeaway was that I have the power to accomplish anything I set my mind to. I know, I know, it sounds cliché, but no more cliché than the sports analogies on mental toughness, and hey, let’s face it, the proof is out there. Every day, people are choosing to be the best in their industry, to learn new skills and take risks that may not pay off the first time. You should, too. Creating an effective brand is challenging. It’s exhausting. It’s daunting. And I love the process. 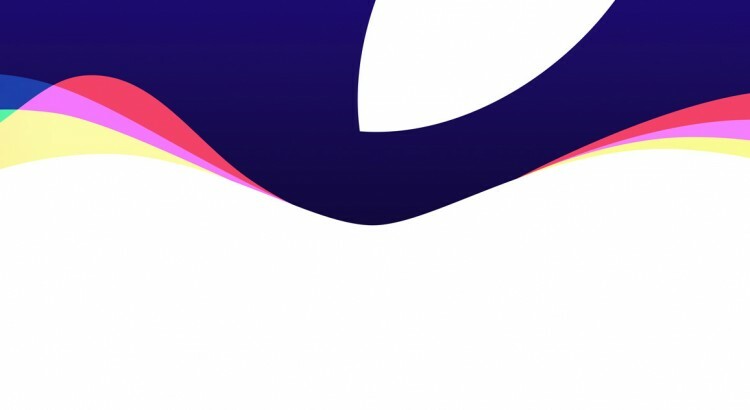 A recognizable brand that packs a design punch is invaluable to businesses large and small. It has hundreds of moving parts that work together to represent a company’s personality, mission and purpose. Color is just one of these hundreds of parts, but, in my humble opinion, it is one of the most important. Color isn’t about just looking good. Color increases brand recognition by up to 80%. Studies show that black and white images hold the viewer’s attention for less than two-thirds of a second, while color images hold the viewer’s attention for two seconds or more. It’s a no-brainer that companies should use color in their branding, but while choosing a color palette is fun, it can also be frustrating. Color preference is subjective and research regarding color psychology can sometimes be watered down. But, with a little digging, I compiled the following theories about color that are widely held by professionals. Coca-Cola has cornered the red market with its iconic red and white logo. This intense color evokes strong emotions and is notoriously hard to use without sparking a negative response. Seeing the color red can make the viewer’s heart beat faster, a reaction often associated with danger and unease. But if your brand is bold and daring, red might be the right signature color. Shades of orange create a sense of urgency and demonstrate confidence and friendliness. Can you guess what United States brand has gone so far as to trademark this bright color for use in advertising, lettering and signage? If you’ve ever taken a stroll through a Home Depot, you know. The home improvement goliath covers every inch of blank space in its signature orange hue. Yellow gets a bad rap for allegedly making babies cry, but this cheerful color can also portray optimism, movement and warmth. Brands that want to be inviting, but also want patrons to move quickly, turn to yellow. Fast food restaurants – think McDonald’s unmistakable golden arches –often use yellow to inspire people to keep moving. Green is this year’s hottest color. Pantone’s color of the year, Greenery, is a refreshing shade that is symbolic of new beginnings and a return to nature. Brands have long used shades of green to express peace and make viewers feel grounded. Whole Foods Market fittingly uses a dark, grounded hue of green to market its fresh, organic brand. Blue is often used in branding because of its reputation as a non-invasive color that is associated with peace and calm. With numerous shades to choose from, blue is used in many widely different industries. Dark blue expresses professionalism and stability and is often used by banks and other financial institutions. Lighter shades of blue express freedom and creativity. The most inspiring use of blue has to be by Tiffany & Co., which has trademarked its iconic “robin’s egg” blue as Tiffany Blue. That’s dedication to a color. Deep, rich shades of purple have been associated with royalty for centuries. As a result, the color is often used by sophisticated, luxury brands. You may not think of sophistication when you think of chocolate, but Cadbury is known for its luxurious chocolate and its deep purple logo. 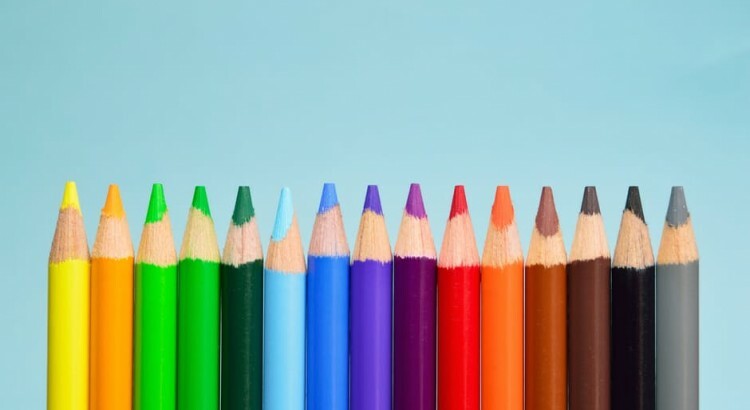 Are you ready to build a color palette that will make your brand pop? If you need a little nudge in the right direction, contact my team for a consultation. It’s time for some straight talk. Marketing is a balance of art and science. What works well for the pet store on Main Street is not going to work for a national financial firm. That’s what makes it so frustrating. There is no one magic bullet that is guaranteed to work every time. Finding what works for a given business takes time, patience and finesse. If you’ve ever awakened at the crack of dawn to don waders and stand in the perfect silence of your favorite fishing spot, you recognize the importance of these elements. Let’s take a look at how marketing campaigns are surprisingly similar to the art of fly fishing. Master these elements of marketing and you will be reeling in the big fish. Where are the fish? Where do they spend their time? This is similar to attracting people for marketing campaigns because it is essential to know where they spend the majority of their time (online, social media, etc.) so you can correctly target them on certain platforms. Now is the time to learn how to read and understand the analytics provided by Google Analytics and your social media channels. Each of these tools will help you understand your audience by learning their interests, online habits and where they’re located. In fishing, the fly is used as the bait. In our analogy, the proper “bait” for a marketing campaign depends on the target audience and what they find interesting, helpful, and relevant (ex. white papers, case studies, infographics, guides). There needs to be a great initial level of interest before a customer becomes a lead (and before a fish is caught). You would never hit the river without a rod and a line. Likewise, certain tools and automated platforms aid in the marketing campaign process and allow for more insight into which tactics are performing well. Using all the tools in your arsenal is a surefire way to increase the success of your campaign. You don’t have to break the bank or learn new systems to make an impact. Use the tools you already have at your disposal: email newsletters, social media platforms and Google Analytics. When you go fly fishing, you plan out the trip and make sure to take all of the necessary supplies. When you run a marketing campaign, you set up workflows and prepare prospects to be nurtured through the sales funnel. Certain times of the year and day present ideal fly fishing conditions. The same goes for marketing campaigns. Timing affects the success of the marketing tactics depending on the offer. 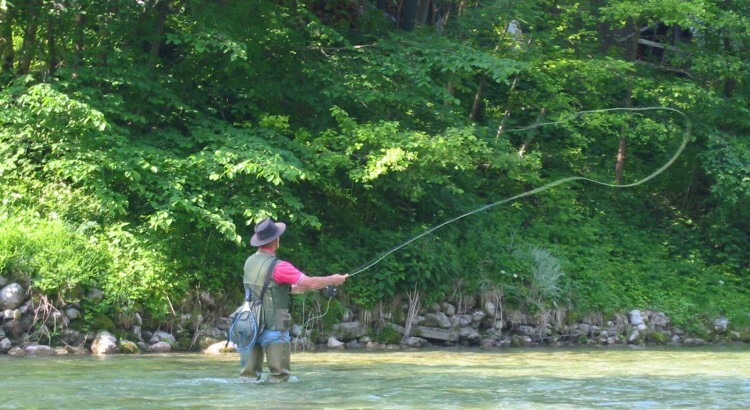 Fly fishing requires skills that are not necessary for regular fishing. Marketers increase their knowledge and success rate the longer they work in the field. 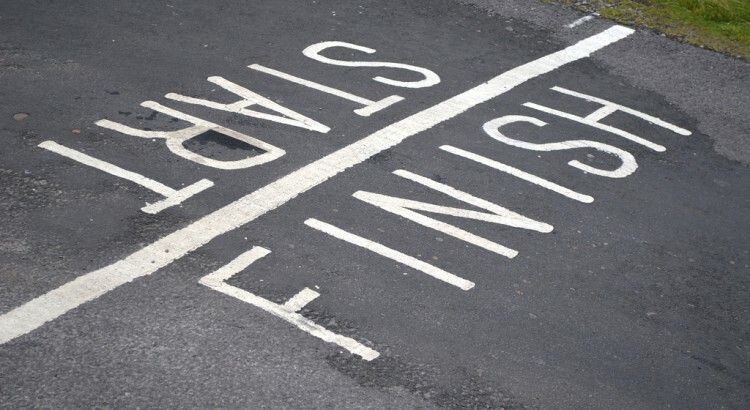 Some marketing campaigns require extra efforts on different mediums such as digital or print. These skills are necessary in order for them to be successful. People hardly catch a fish on the first cast. The whole point of a marketing campaign is to warm up prospects as they learn more about a business and its services, build trust with the company, eventually “bite” and become a customer. Don’t be afraid to ask for help or change your method. Unsure of which bait works best? Which locations have the best fishing conditions? Just ask. Unless someone is guarding a secret fish gold mine, they will be happy to talk shop with you. The same goes with marketing. Marketers learn and grow with their peers and influencers. Those who are willing to share tips and advice share a common goal of succeeding, not just as individuals, but as an industry. So, who’s ready to catch the big one? With the right tools and information on your side, you can tackle marketing campaigns with confidence. Remember that even the best laid plans take time, and give yourself room to be flexible. There are plenty of fish just waiting for you. Duct Tape, the silver metallic adhesive tape used in WW II to seal ammunition cases on the fly, is used worldwide as a temporary solution to a problem, and we’ve all needed it at some point to patch a leak in plumbing or tape a broken window. 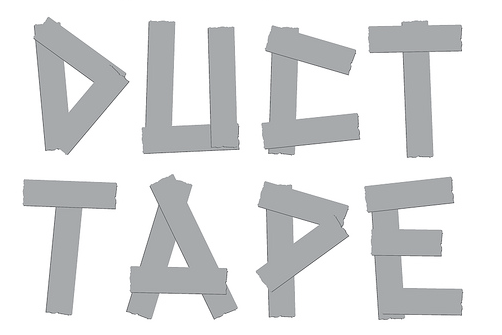 Many people in business have similar “Band-Aid solutions” that work well at first, but when what I call the “Duct Tape solution” becomes the permanent fix, that’s where businesses run into trouble. Business of all sizes often find themselves in a Catch-22 situation where they need the equipment and tools to attract clients but don’t yet have the funding in place, so they’ll employ the Duct Tape Solution to get through a tough patch. For example, they’ll use free trials to expensive software and not renew when they run out, or maybe in the rush to check off the lists, they’ll cold call without much strategy, or create slapdash content just to launch a website. Established companies in a fast-growth pattern will also rip off a hunk of metaphorical duct tape to get through a crunch as well, such as updating only the prominent sections of their websites when they need a complete redesign, buying a contact list instead of organically growing one, or selling more than the company can actually provide. We’ve all been in situations where we’ve needed to provide a creative solution to solve for an immediate problem or throw an idea together at the last minute when under the gun. However, none of this is sustainable. Interim solutions that solve for an internal “fake it ‘til you make it” strategy will soon become an external indicator to your customers that something is not working if you don’t consciously take care to go back and take corrective action. Eventually the duct tape is going to loosen, and everyone is going to see the cracks! The important thing as a business leader is to do what you need to do in order to keep things running effectively and provide stretch goals for your organization, but always remember to go back to where you placed the duct tape and implement a permanent solution. It all comes back to setting time-focused goals. Without them, you are entering a dangerous arrangement of viability and sustainability all wrapped up in the proverbial house of cards—a dangerous tight rope to walk! Now that the website is launched? Implement a plan to update with quality content every month. You got through with the first round of cold calls? Now, come up a 5-point proposal to achieve a specific outcome beyond the first opening sentences. Bottom line: Keep The Duct Tape Solution for emergencies and never stop improving. Over the past few months, TV, radio and social media have been littered with controversial topics and charged discussions. Though such controversy isn’t exactly uncommon, a contentious speech, discussion or argument, when publicized on social media, has the potential to quickly make a profound impact. It hasn’t always been the case that politicians and citizens alike are able to voice their opinion quickly and easily on the World Wide Web. Let’s take a look at how social media helped controversy spread recently. Last week, online discussion surrounded Victoria’s Secret Fashion show when an online debate started about plus-sized models (and whether they should be called “plus-size” at all). The conversation grew from a few tweets into a dominating online discussion, and the idea of changing “plus-sized models” to “curve models” gained enormous popularity and support. The conversation was picked up by media outlets the next day, resulting in segments on national news programs and creating headlines around the country. It’s interesting to consider what would have happened in this situation without social media. Social media allowed the Victoria Secret controversy to reach across the United States and world, prompting global conversation. What’s the takeaway here? Social media is an incredibly powerful tool, both for starting conversations and for listening to them. As your brand starts to build fans and followers online, it’s important to know who your audience is, what they respond to, and what could cause controversy. Let’s face it, updating your LinkedIn profile sounds about as fun as going to the dentist. But once you’ve taken the plunge and invested in your online persona, LinkedIn can prove to be a natural resource for industry best practices, trending updates and of course, connecting with likeminded business professionals. Take a look at these steps if you don’t already have a LinkedIn (LI) profile, or are interested in what will take your profile to the next level. It’s a simple step, but daunting nonetheless. Go to LinkedIn.com and follow their simple new member instructions. I applaud you in taking the plunge to create a profile, but that’s the easy part. It’s what you do with your LI profile that’s important. I’m sure we all fall under the same umbrella of wanting others to think and see that we’re accomplished and have something great and unique to offer. After all, would you be interested in profile that only listed where they currently are, their job and a photo? Probably not. Skills and Endorsements – Add skills you know you have. Once they’re on your profile people can endorse you for those exact skills or others if they feel inclined. So, if you’ve done all of the above, your profile has the professional touch. The next few steps are what’s going to take it from good to great! These take a little work, but what you need to do is: have colleagues endorse you, start following companies and influencers and join a few groups. On LinkedIn, you’re able to ask colleagues to endorse some of your skills. Ask a previous boss or fellow colleague for a professional review. These reviews will show up under their respective jobs, and in “Reviews” section that will populate on your page once you start receiving them. With these two steps alone you went from saying, “I’m great,” to others actually vouching for you. Groups are a little different. Groups are related to specific industry topics, and are a place for processional discussion. 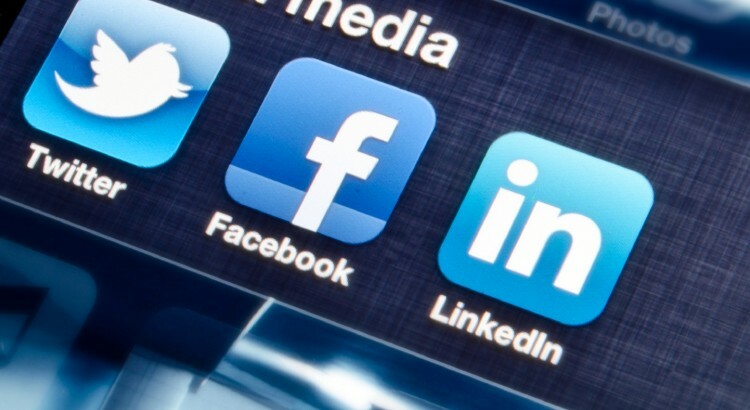 “Social Media News” is an example of a LinkedIn group. That group would be populated with fellow peers that are also interested in the topic and want to learn more. 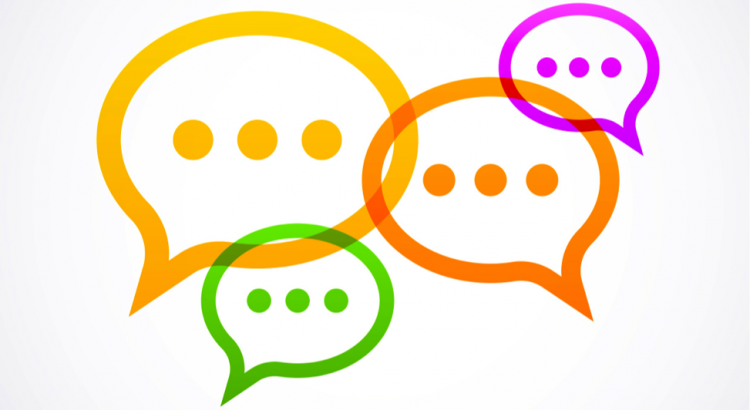 You can post articles, ask questions and engage with others. Note: any group you join or company/influencer you follow will show up on your LI profile. The last step is to start following and interacting with companies or individuals you’re interested in or are key to your industry. The information they publish will then show on your newsfeed so you can stay aware of what’s happening on a daily or weekly basis. Don’t feel the need to have to follow and join as many groups as possible right away – feel it out! Start by following a few a week and maybe joining one group until you really know what it’s about. The important thing is that you start and are willing to learn. Good luck! Check back for more LI blogs and how-to’s in the upcoming months. 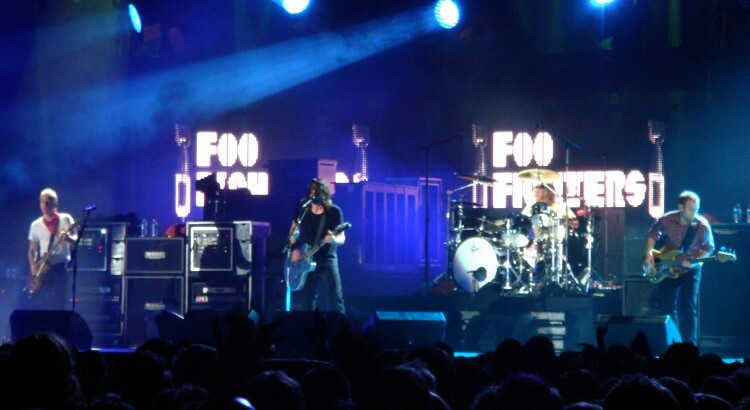 This past Sunday night at Fiddler’s Green Amphitheater (one of my fav outdoor concert venues) in suburban Denver, CO, 20-year Rock & Roll vets the Foo Fighters took the stage amid a jam-packed theater full of fans. The listed capacity for Fiddler’s Green is roughly 18,000, and if you had asked all 18,000 fans at the show that night if they’d like to be pulled on stage during an acoustic rendition of classic Foo tune ‘My Hero’, it’s highly unlikely you’d have had more than a handful of dissenters (if any)! One lucky man had this become his reality on Sunday night, as front man Dave Grohl (from his “throne”, a necessity this tour since he broke his leg during a show in Sweden…AND KEPT PLAYING) spotted a man, aged undetermined but probably between 35-40, in the pit with tears in his eyes as Grohl and other band members launched into ‘My Hero’. Grohl eventually invited this man, (Anthony), on stage for the rest of the song! A once-in-a-lifetime occurrence that every other fan in attendance was at least slightly jealous of, and it came out of a totally spontaneous situation of chance. Last week, I was at the Dierks Bentley concert at Fiddler’s and witnessed the same type of experience (although the lucky fan ended up “shot gunning” a beer with Dierks—cheers)! So, I had to ask myself…what if this spot had been determined by a contest? Contests are a fabulous way to increase brand awareness, especially if your prize is enticing. A chance to be on stage with the band is a choice prize in any setting, and when that band is Foo Fighters during their newly dubbed ‘Break A Leg’ Tour it could have provided remarkable results if structured as a contest instead of an act of chance. Imagine 18,000 willing Foo Fighters fans before the show with the ability to enter for a chance to take the stage with the band…it would have been a veritable treasure trove of consumer data for important brand messaging later down the road (although it would have entirely removed the spontaneous nature of the act, which was a good portion of its overall charm). If you have something your audience would love to win, you’ve got the primary component of a successful contest. Combined with a fully integrated social approach that drives business, you can expand your market base and start driving new business today! Use social to go viral and let your audience carry your message—ask yourself this question—“what would my potential customer be willing to share with me (name, address, phone number, 10 minutes of their time, etc.) to win a chance to party like a rock star, with a rock star”?